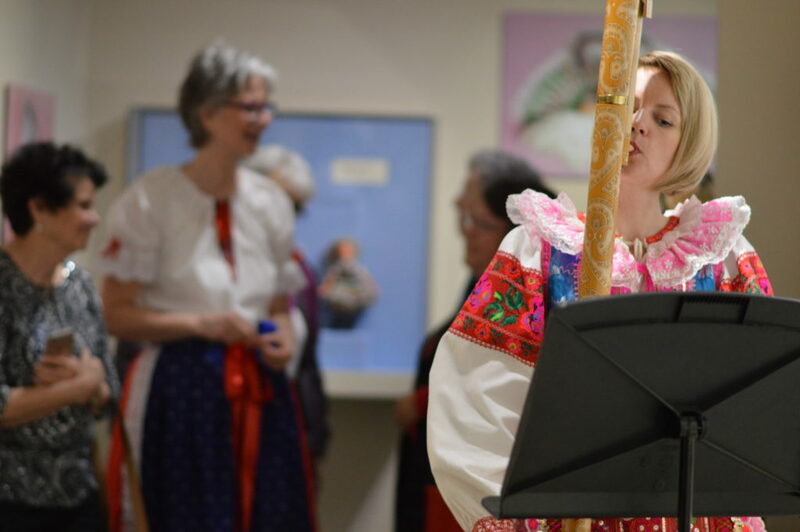 Lullaby: Babies in Slovak Folk Dress opened April 12, 2019, at the National Czech & Slovak Museum & Library in Cedar Rapids, Iowa, featuring photographs by Monika Klučiarová. 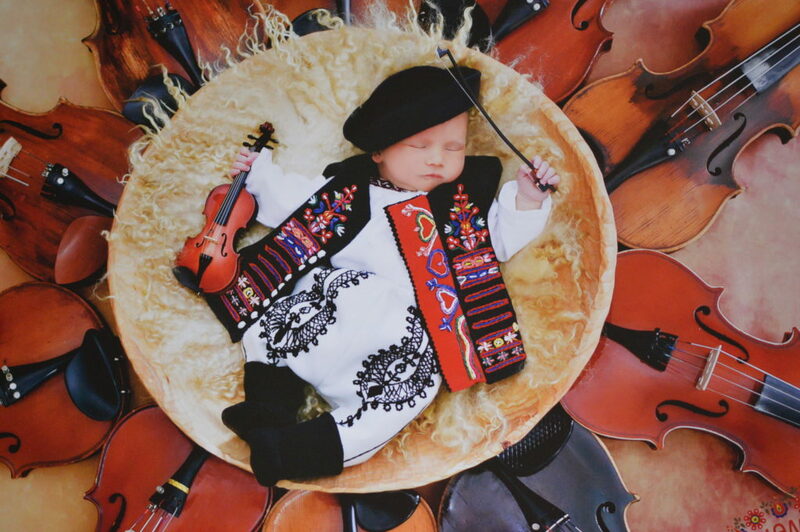 CEDAR RAPIDS — Slovak photographer Monika Klučiarová has long been passionate about taking photos of newborns, and had always held a fascination with Slovakian folk costumes, called kroje. 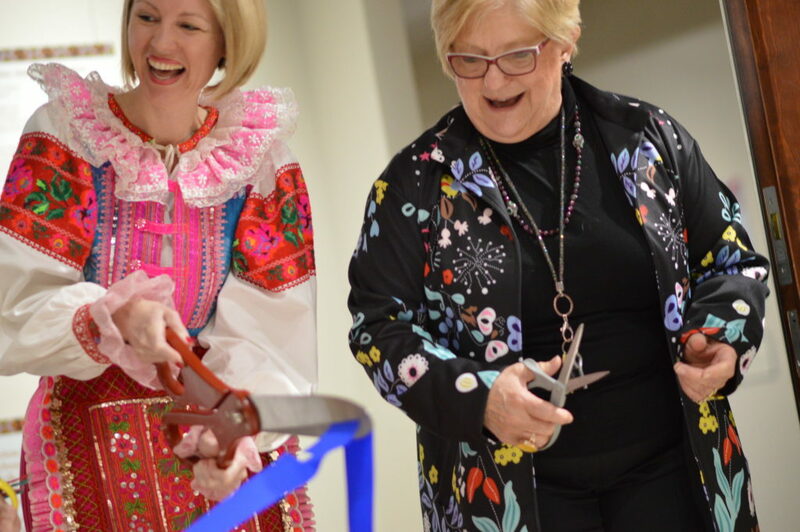 Combining the two created a unique art form “that merges the innocent beauty of newborns with the treasured works of our ancestors,” Klučiarová said during the opening of a new exhibit at the National Czech & Slovak Museum & Library. Lullaby: Babies in Slovak Folk Dress showcases Klučiarová’s work with 10-day-old babies dressed in kroje, tailor-made by skilled Slovakian seamstresses using traditional techniques. 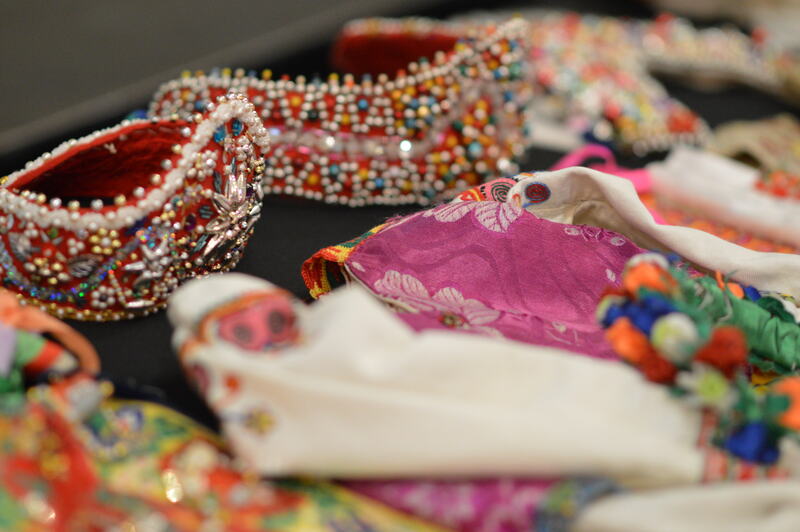 Sponsored by Western Fraternal Life, the exhibit runs through Oct. 9, 2019, at the museum, 1400 Inspiration Place SW in Czech Village. 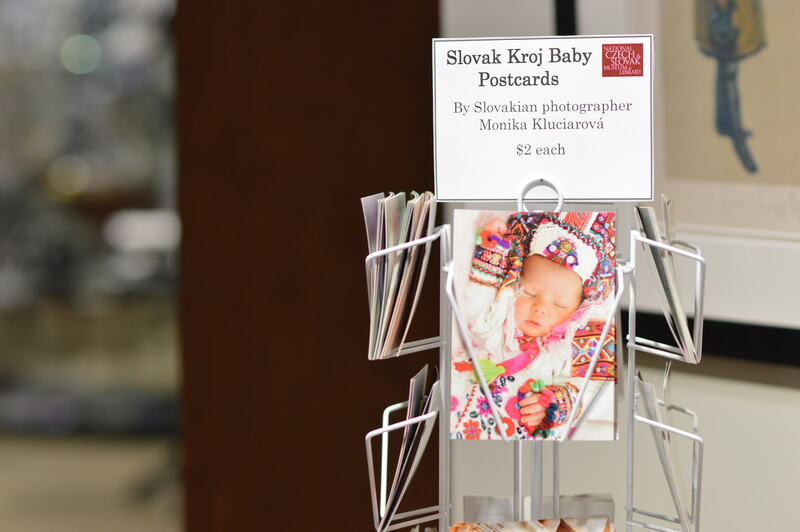 Visitors can take home some of those works of art in the form of calendars and postcards, sold at the museum store. 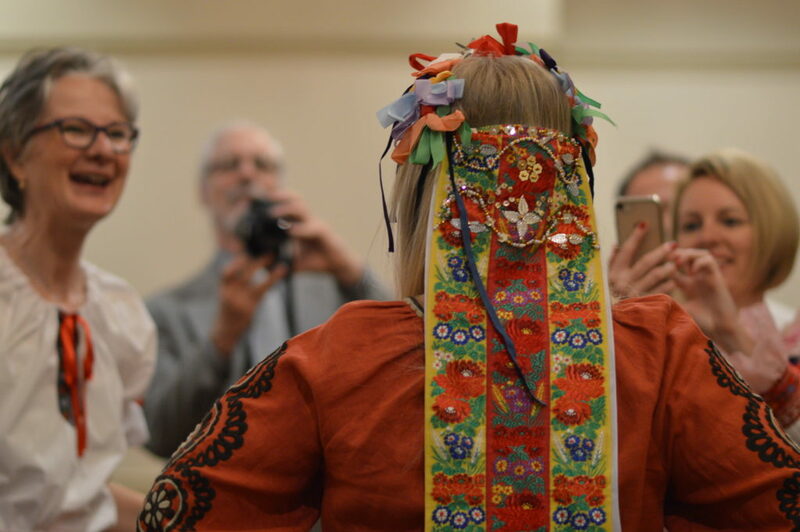 The exhibit opening on Friday, April 12, also featured a presentation by Helene Cincebeaux, co-owner of the world’s largest private kroje collection, who discussed her adventures collecting Czech and Slovak folk dress. 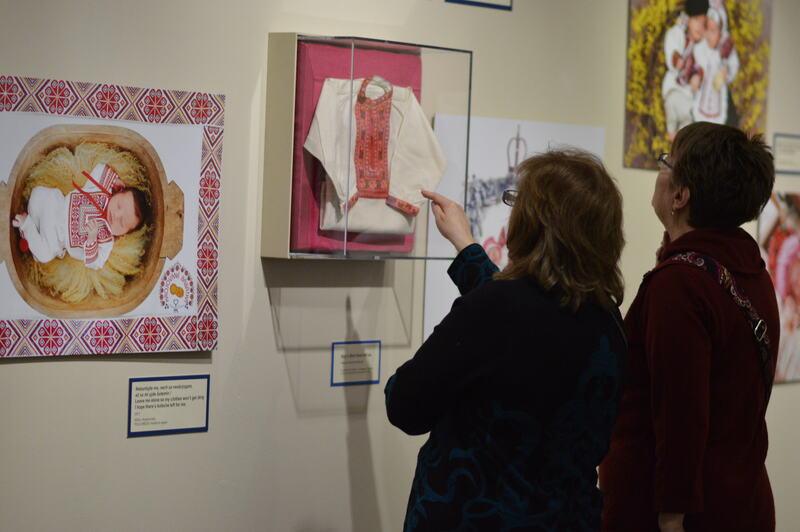 Selections of the Baine/Cincebeaux Collection of Czech & Slovak Folk Dress and Folk Art are displayed next to the 36 large portraits in the exhibit in the Smith Gallery. 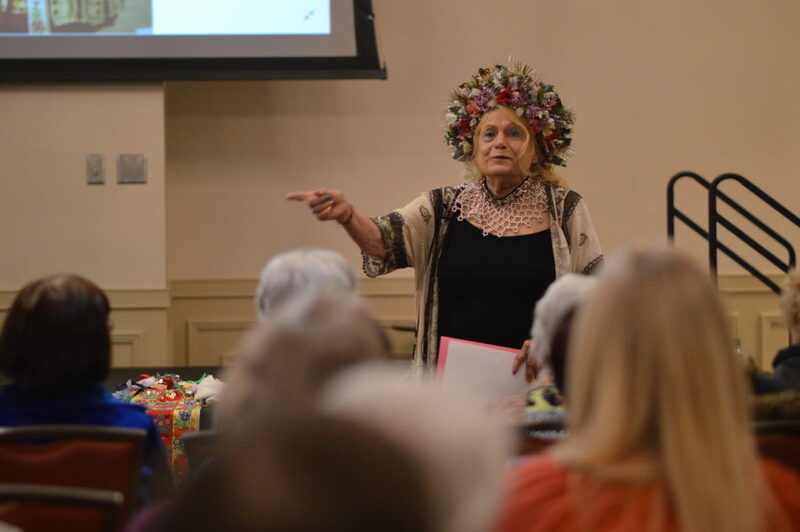 Cincebeaux brought examples of the costumes and allowed visitors to try on headdresses, including elaborate wedding head pieces. 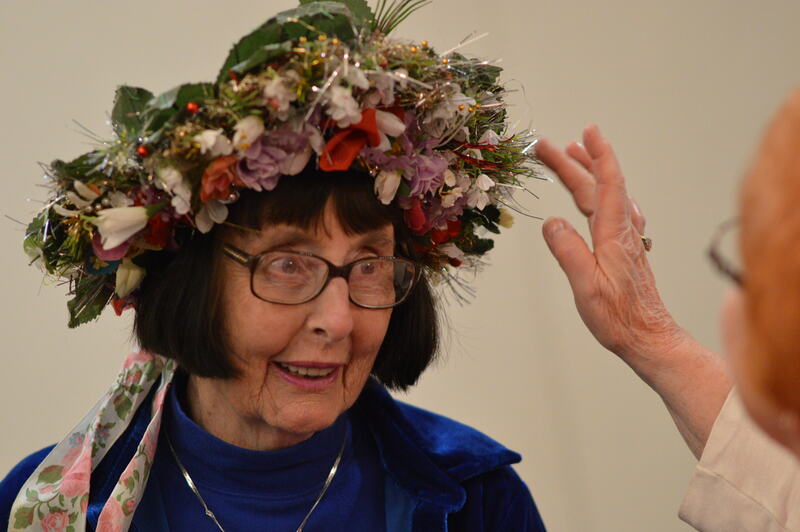 Each village has its own style of kroje, she noted, and the head pieces signify if a woman is married or single, among other stages of life. 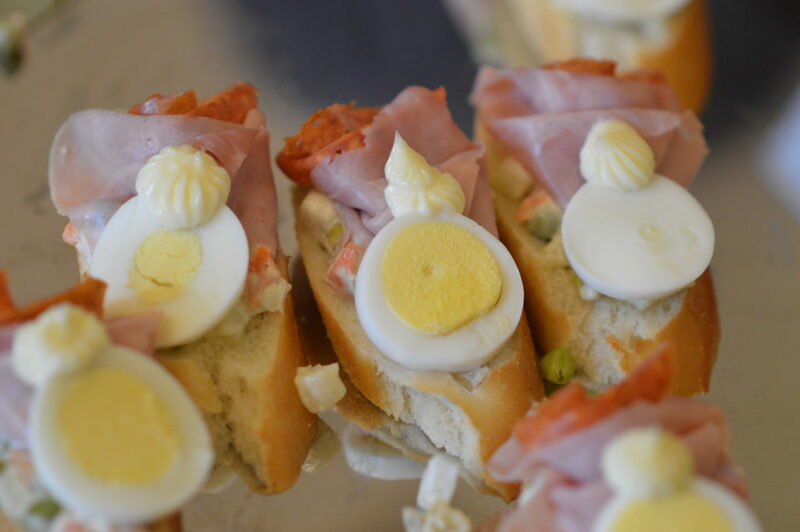 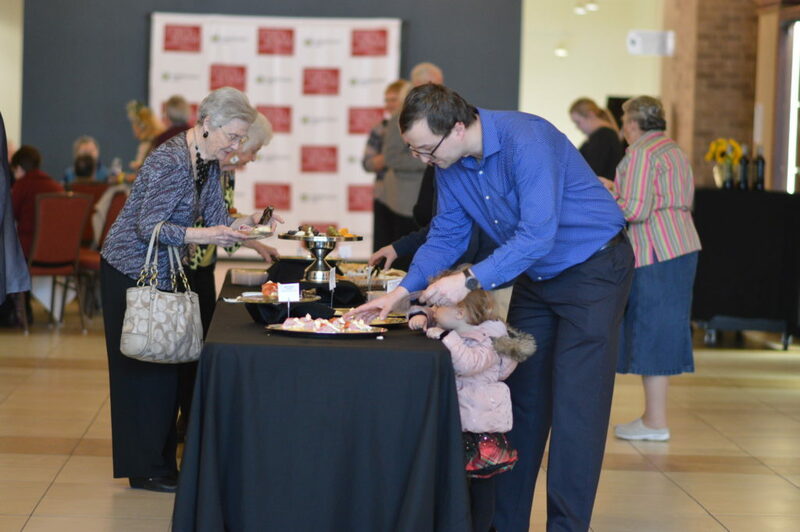 See more photos from the exhibit opening, below, and learn more about Czech events in Iowa. 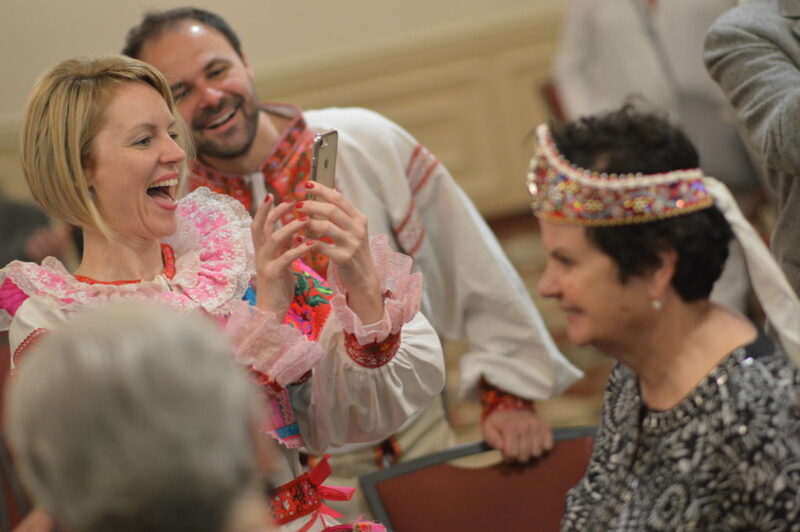 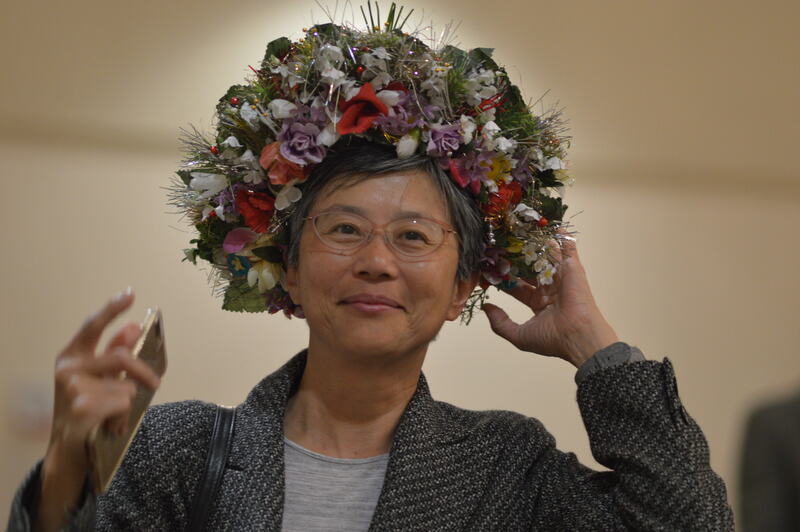 Darya Bodrova, center, assistant to Slovak Republic Honorary Consul Mykhaylo Viktorovic Muzalev in Odessa, Ukraine, tries on a traditional head piece.